Public Domain Picture: A scenic view of Mt. 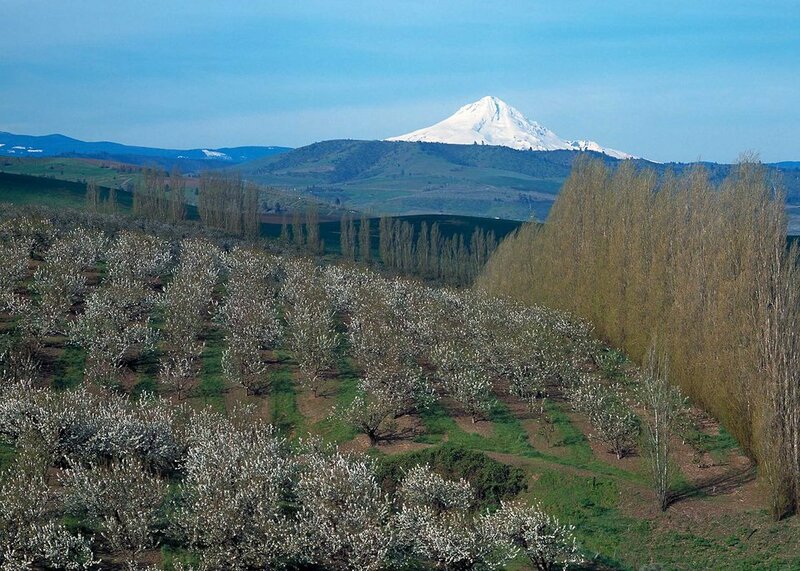 Hood with cherry orchards and windbreaks in the foreground outside of The Dalles, Oregon. A scenic view of Mt. Hood with cherry orchards and windbreaks in the foreground outside of The Dalles, Oregon. Windbreak planting along the edge of a field. Farmstead windbreak in western Iowa. Multi-row farmstead windbreak in central Iowa. Field windbreak in northwest Iowa. Windbreak planting in Jefferson County MT. Aerial view of farmstead windbreaks. Kansas. Farmstead windbreak in Pocahontas County, Iowa. Farmstead windbreak in northern Iowa. Farmstead windbreak in Pocahontas County. Field windbreak of blue spruce, elm and green ash. Field windbreaks in the Northern Plains.